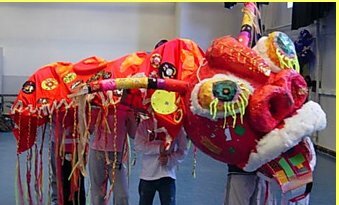 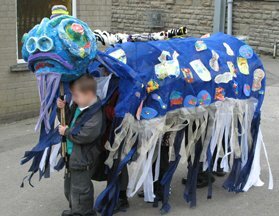 During Spring Half term 2007, Ballyhoo Arts worked with children from Basingstoke, to make this processional Chinese Dragon, in celebration of Chinese New Year. 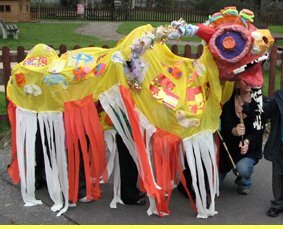 This project was organised by Basingstoke & Deane Borough Council, as part of their playday activities. 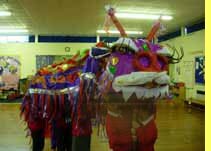 Children from Tyn-Y-Wern Infants School in Caerphilly made these two processional dragons in celebration of Chinese New Year 2008.